'Let's Get Busy' | Daily Drawing #176. Sketch converted to vector, silkscreen effects applied in Photoshop. 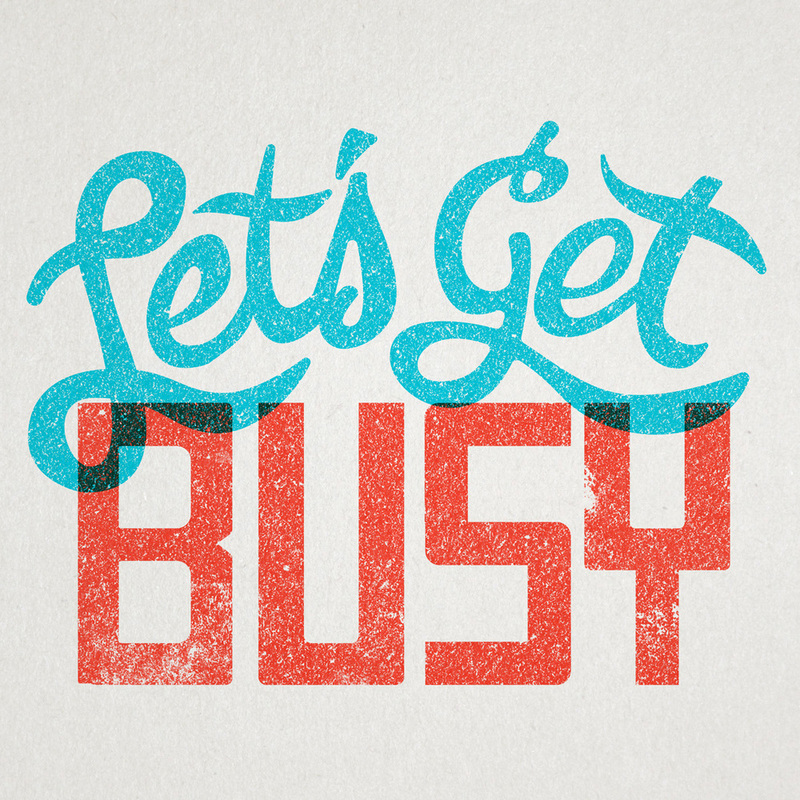 The word 'Busy' was built from scratch in Illustrator.